A soothing Cream Bunny for you! Rolled up tight and presented with a silky ribbon round it, Bashful Bunny Soother is the perfect gift for any newborn arrival. 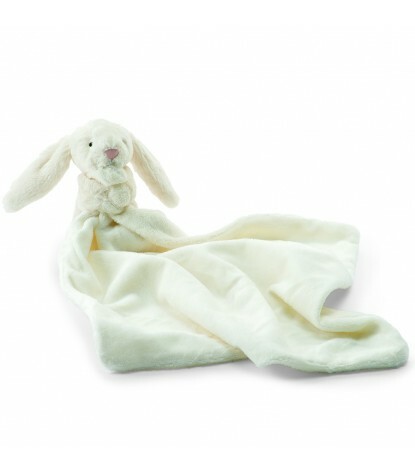 When the soother is untied, Bashful Bunny won't let go - nor will anybody else's paws, especially babies! 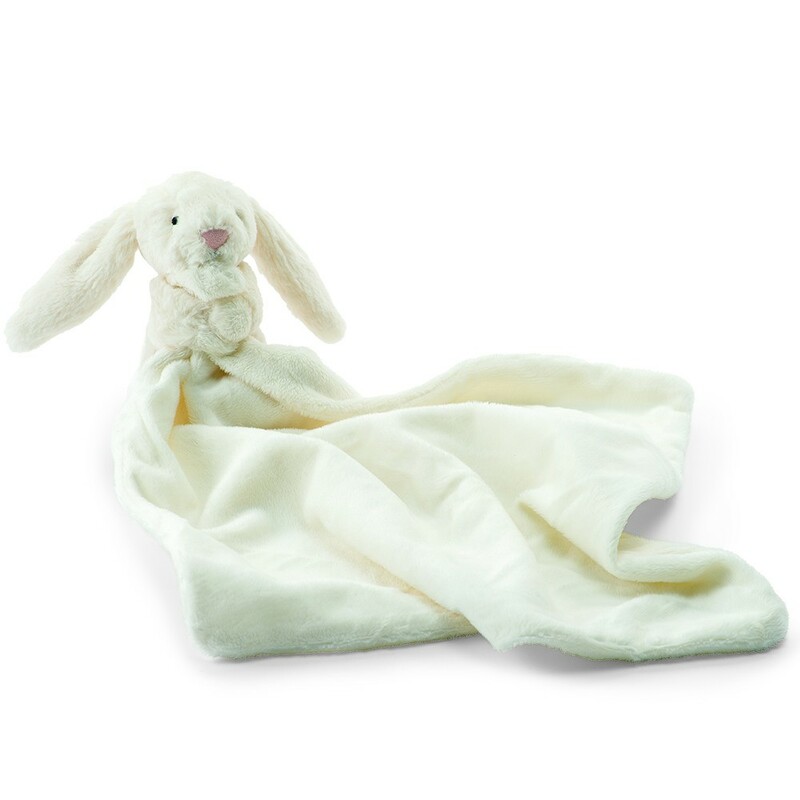 This Jellycat Stands Approximately 13” Inches Tall.